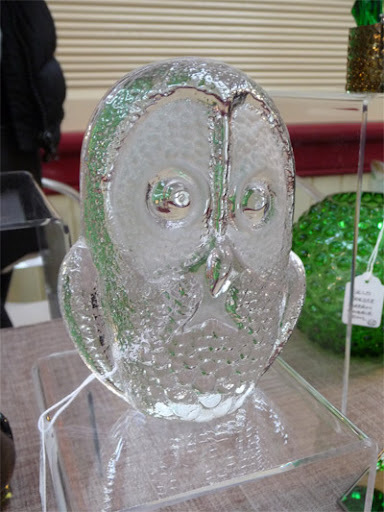 Vintage 1960s Kosta Boda glass owl, from Norwegian Wood. Vintage 1970s leather handbag from Bags of Vintage - £12. 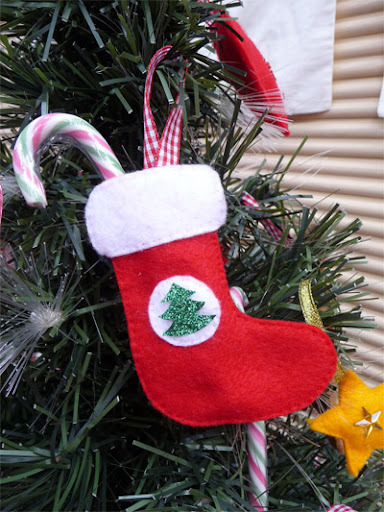 Hand sewn felt Christmas stocking decoration with a free candy cane, from Flying Duckie - I think this was either £3 or £4! 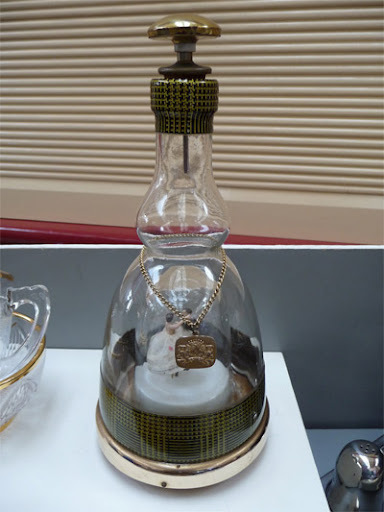 Vintage 1950s musical anniversary decanter - the little couple dance to music when it is wound up! 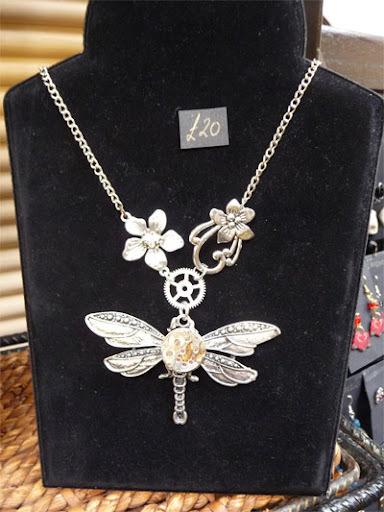 - from Look at Lily - £25. 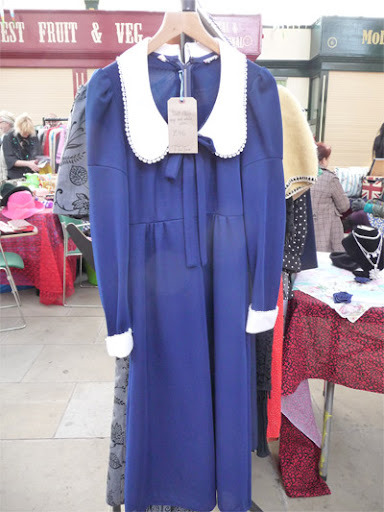 To The Tower nominated this Vintage 1960s navy and white dress as her 'find' - £46. 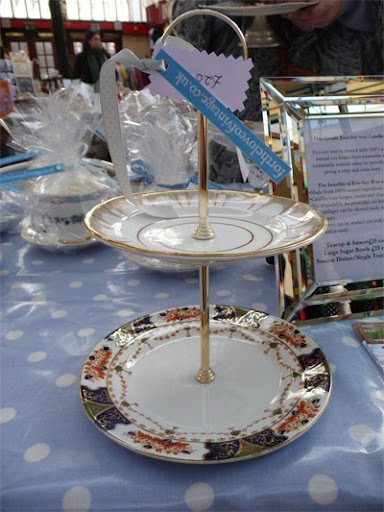 Upcycled vintage china cake stand by For the Love of Vintage - £20. 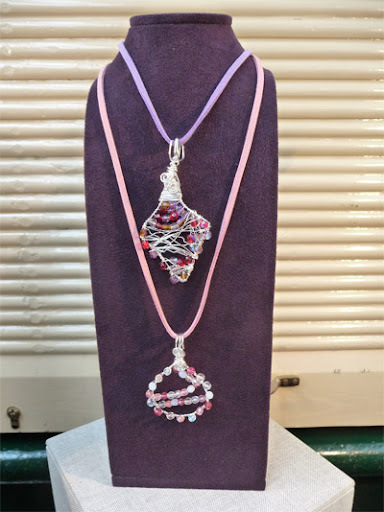 Wire wrapped bead pendants by Itsa Mistry. 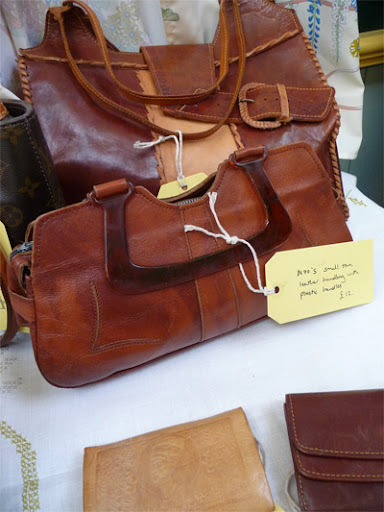 This is just a small sample of the enormous range of desirable pieces to be found at the third Vintage Village at Stockport Market Hall, held on Sunday 14th November 2010. 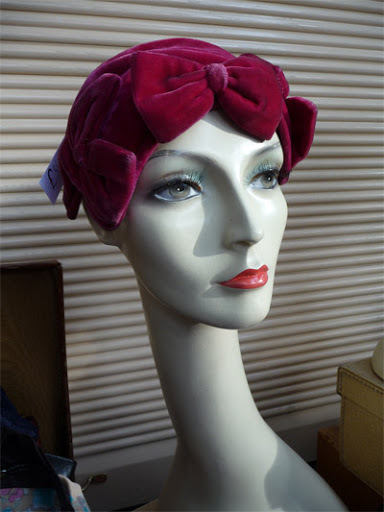 Vintage 1950s Fuchsia velvet hat with bows, from Lady, Behave! - £35. 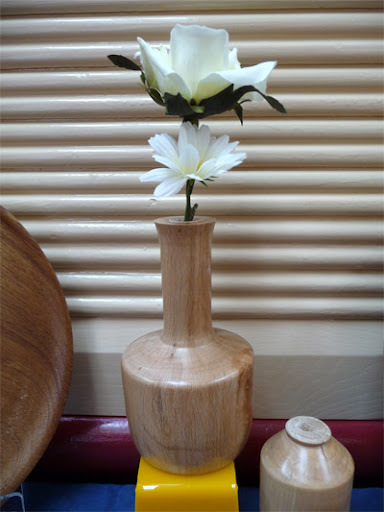 Hand turned beech wood vase inspired by a medieval Chinese vase at the British Museum, by Colin Mail - £15. 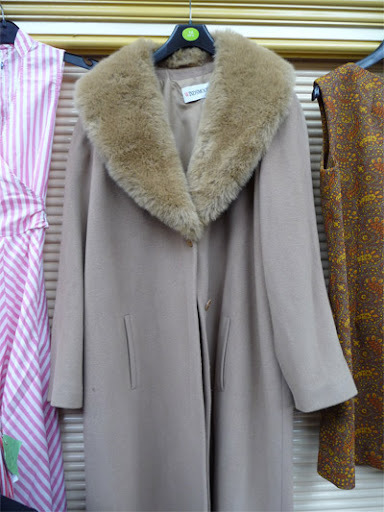 Vintage 1980s Windsmoor coat with a cosy faux fur collar, from Fikle. 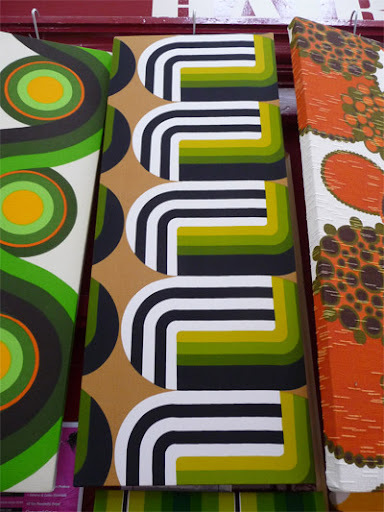 Vintage 1970s fabric mounted on a frame, by Rhubarb - £75. Steampunk Firefly necklace by Voodooville hand made with old watch parts - you can see the price right there! 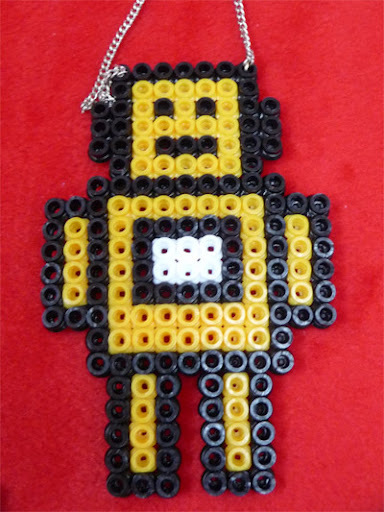 Robot pendant by Christine's Crafts and Jewellery. 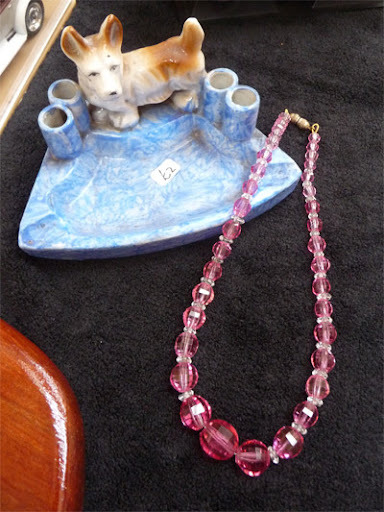 Vintage 1930s-40s faceted glass bead necklace from Crystal Angels - I didn't get the price, but look at the price of the Japanese porcelain corgi ashtray!